What do people do in an alcohol treatment center all day? 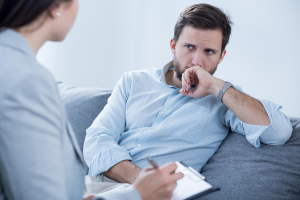 If you are simply curious or feel that you may have a drug or alcohol problem and are considering treatment, here is a look at a typical day. When you are fresh in recovery, a good day starts with a good morning. Many inpatient alcohol rehab centers get their day started early! This means waking up around 6:30 AM, and giving you a few minutes to brush your teeth, wash up and get dressed for an early meeting, class or meditation. Some places have a morning religious gathering, for example, a Christian rehab might offer church in the mornings. More likely than not, you will see a 12 step meeting or meditation. Rehab is a complete process, not just helping you to abstain from alcohol. You are being trained to learn new habits and routine, which includes taking care of yourself in the morning, physically and mentally. You will need these habits if you are going to have any shot at lasting sobriety. The ending of the meeting signals breakfast time, the first social get-together of the day. It is important that this meal is healthy! Lots of people gain weight in rehab, replacing their drug of choice for food. Most addicts eating habits were absolutely awful before recovery, and learning to eat healthy is another aspect of post alcohol treatment center life. After breakfast, a room check is typically done to make sure you are staying neat and clean. Then, it’s time for the most intensive part of the day – a variety of therapeutic sessions throughout the rest of the day with lunch “sandwiched” in between. Individual therapy. This will help you work on opening up with your concerns and feelings to counselors and help identify the things that caused you to use in the first place. Group therapy. Group therapy creates a feeling of solidarity and not being alone. This might be talking about a specific topic in a group setting. Specialized groups. Sometimes there may be “elective” type classes, like music therapy, writing, art, reading poetry or music related in some way or another to recovery. Family programs. While being an inpatient at an alcohol rehab center, the family is often invited to come so that that everyone can talk and begin the healing process. Depending on the day and the schedule, most session end around 3 to 4 pm in the afternoon. After that, you are usually free to do what you like until it is time for dinner. Many people use this time to exercise or go to the store to get things they need, while others may use it to hang out with other residents and play cards or ping pong for example until it is time for dinner. After dinner, it’s usually off to another meeting, usually 12 step, which millions and millions of people use to stay sober after discharge. Alcohol treatment centers from all over may bring some of their residents to any number of meetings and you will get to know others from other recovery communities. Once home, it’s time to decompress and relax to get a good night’s sleep for the next day. Some residents might get together to play games or watch a movie together before curfew. Weekends are great for family sessions, as it is the most convenient time for working families to come and spend time with the resident. They also usually bring some sort of special event that all the residents can participate in, perhaps a picnic at the local park or a trip to the movies. These events really build the community aspect of recovery for alcohol rehab centers from all over. Besides all of that, two things will also happen when it’s time to leave. You will have met new, sober people, some of which will become lifelong friends! Sadly, though, as you are now part of the recovery community, you will hear about relapses, and even the deaths of people you may know. If you go to an alcohol treatment center, choose to take it seriously – This is a life-taking disease after all. His and Her Houses offers industry leading Alcohol Rehab treatment programs. We were founded in 1994 and we base our programs on five key principles: commitment, honesty, integrity, respect, and service. These five principles guide us in all that we do and all the care we provide. Contact us today to see how we can help you or your love one at (888) 376-7268.